One Direction star Harry Styles owns two luxury homes in London, but according to Ed Sheeran, he prefers to stay at friends so he doesn’t have to be alone. 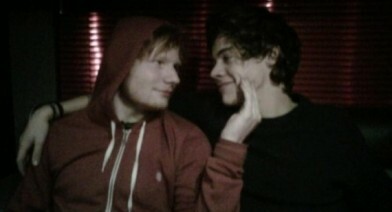 Sheeran admits Harry recently moved in with him, and it took him a while to understand why he didn’t want to live by himself. Sheeran tells American radio station 95.5 Wplj, “The strangest thing about Harry is he lived at my flat for a while, but he had a house, he had two houses… this was like a couple of months ago. He had two very posh houses in London and he’d just come and stay.